Owner Kim Barks has joined the TEAM BACKSTOPPERS! 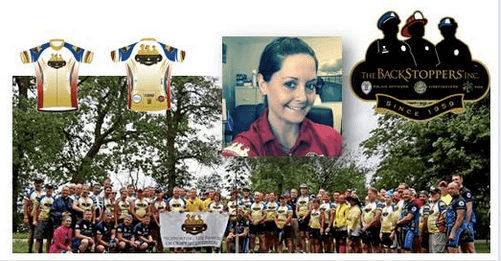 Support her ride by joining the Backstoppers Organization. Support Owner Kim Barks will Ride Across Iowa, its a annual seven-day bicycle ride across the state. Heading into its 43rd year, RAGBRAI is the oldest, largest and longest bicycle touring event in the world. RAGBRAI, The Register’s Annual Great Bicycle Ride Across Iowa, is an annual seven-day bicycle ride across the state. Heading into its 43rd year, RAGBRAI is the oldest, largest and longest bicycle touring event in the world.